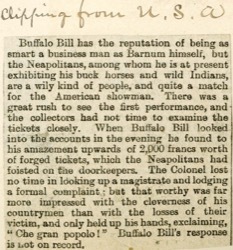 Buffalo Bill has the reputation of being as smart a business man as Barnum himself, but the Neapolitans, among whom he is at present exhibiting his buck horses and wild Indians, are a wily kind of people, and quite a match for the American showman. There was a great rush to see the first performance, and the collectors had not time to examine the tickets closely. 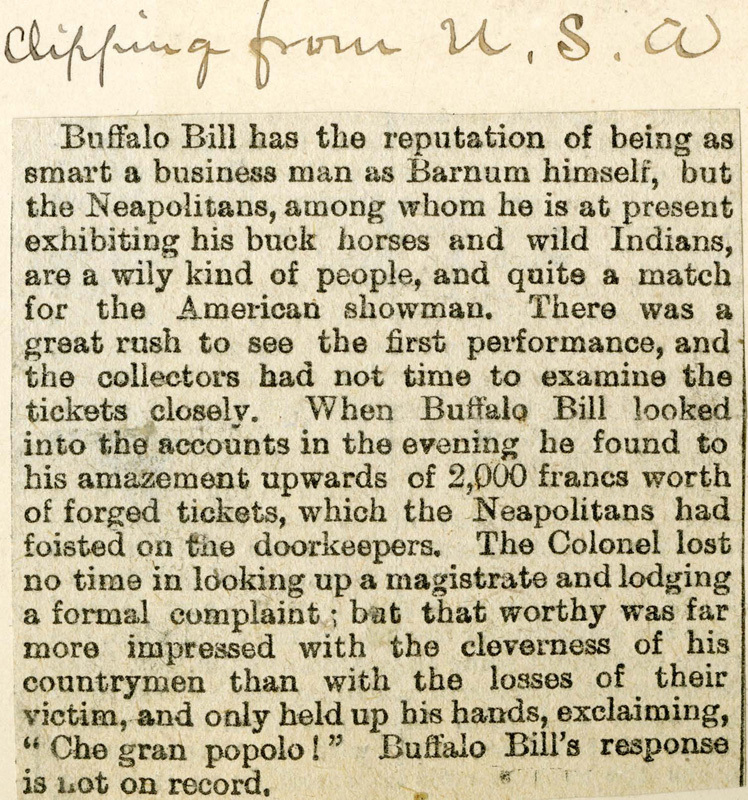 When Buffalo Bill looked into the accounts in the evening he found to his amazement upwards of 2,000 francs worth of forged tickets, which the Neapolitans had foisted on the doorkeepers. The Colonel lost no time in looking up a magistrate and lodging a formal complaint; but that worthy was far more impressed with the cleverness of his countrymen than with the losses of their victim, and only held up his hands, exclaiming, "Che gran popolo!" Buffalo Bill's response is not on record.